Usually, I post when I am feeling good and motivated and making healthy choices. Not today. I like to keep things positive but I also promised I would be honest on this blog, so if you’re not in the mood for my honesty then I’d suggest you check out some of my older posts (like this one) instead of reading on. These last few weeks have been tough. I didn’t know how losing my dad would affect me. How could I have? Generally, I’m ok, but I have moments or tasks which bring up my sorrow and make me want to shut down. Sweet man that he is my husband just wrapped his arms around me and whispered comfort and kindness and apologies into my ear. Along with my avoidance of packing I have been neglecting my fitness goals and nutrition. It has been so much easier to buy food instead of preparing it. Sleeping in is more enticing than early classes at the gym. Everything that I was doing with such ease last fall is suddenly unimportant and a huge inconvenience. My change in focus is showing on the scale. 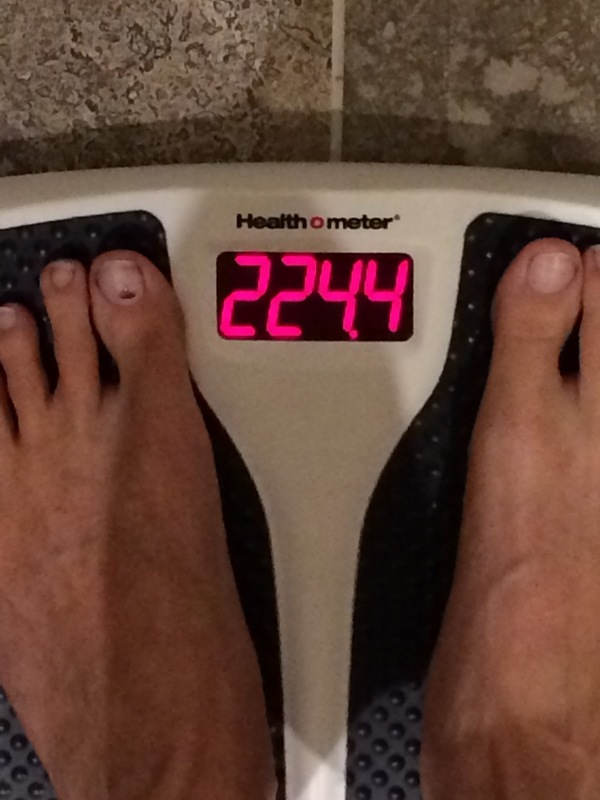 I didn’t even take a camera into the bathroom on Friday when I weighed in. 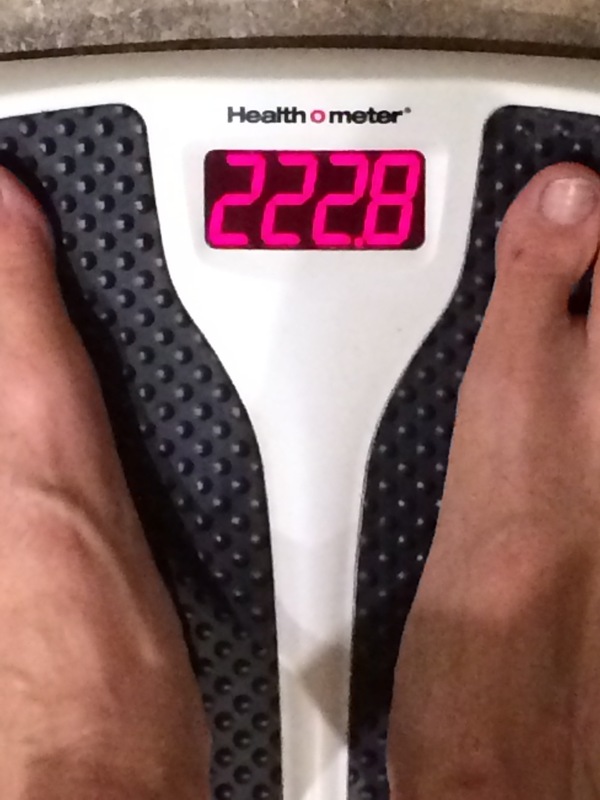 Maybe I should have because I’m embarrassed to tell you that I’m back up to almost 222. I hate it. It made me cry. But I suppose I’ve been crying a lot lately. For now, I’m going to gym even when I don’t want to. Sometimes, it’s half an effort but I suppose that is better than no effort. I bought groceries even though I don’t feel like cooking, but I will. But I will be fine. It will take some time and facing things I don’t want to do but I will be fine. It was a tough year for me personally. 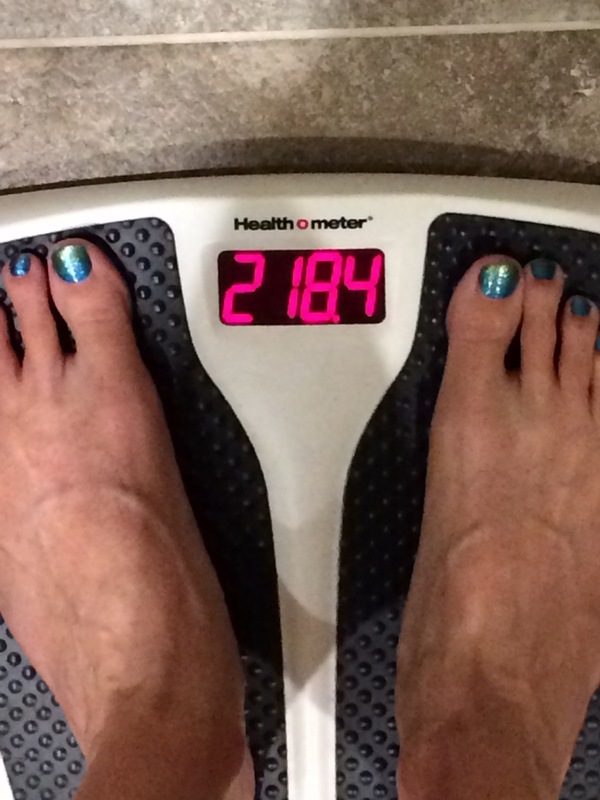 I found some success improving my healthy habits which resulted in shedding a few pounds (I still have a ways to go), but other parts of my life were… challenging. In the past few years I’ve been more involved in helping my dad out: doctor’s appointments, grocery shopping, balancing his checkbook & paying his bills. This summer I found him on the floor and unable to get up which started nearly 6 months of being in & out of the hospital and nursing home with only a few short weeks in between where he was home…and fell again. He was pretty steadily getting crankier, needing more attention, and finally began to refuse treatments. I drove the 20 miles to see him at the nursing home 3 and 4 times a week. Because of his condition and refusing medical treatment he started getting confused easily, too, so we never knew what to expect when we went to check on him. 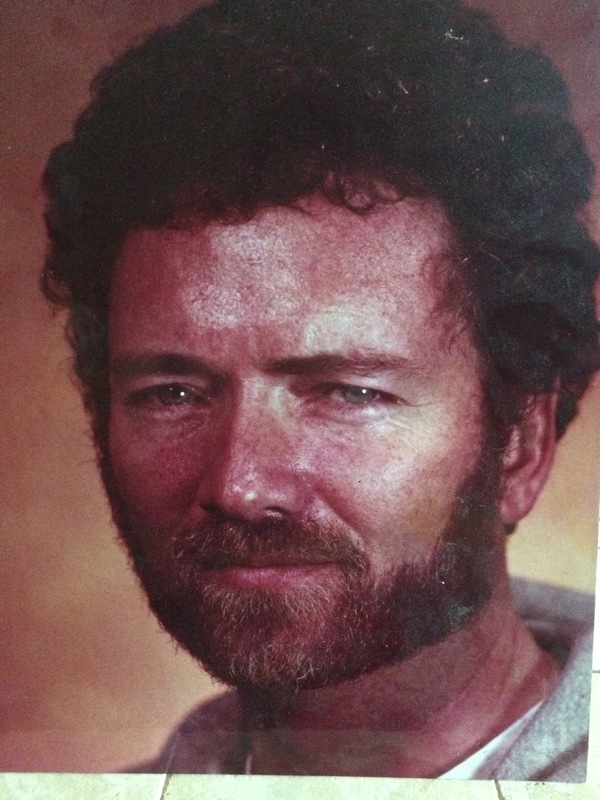 The kids and I had a wonderful Christmas visit with him last week and then on Sunday he was no longer responsive. By Monday morning his breathing stopped and he was gone. My daddy died. He was only 73. This is the hardest loss I’ve ever had to cope with. Yesterday, I spent most of the day crying at the drop of a hat and hiding in my room. But because I have children I put on a brave face and hung out with them to count down to the New Year. Perhaps all the yelling and throwing of Pop-Its was cathartic because as I got into bed I felt a little better. I felt ready to get to work. Part of that work is getting back into my fitness routine that I abandoned as the holidays came. Healthy eating and exercise will be necessary to combat what I found when I stepped on the scale this morning. The pounds are creeping back on! NOOOOOO!!!! My dad and I both have…had… Type II Diabetes. I was diagnosed younger than him. He never really changed his habits and that was part of the reason his health was so bad. I don’t want to make the same mistake. It’s going to be a tough battle to get rid of this extra weight but I know it will be worth it! Maybe I won’t get rid of the Diabetes but I will get healthy. This morning I woke with the same desire to get to work and with a need to spend time with my family. I suggested we go on a family hike. The closest hiking trail to us is a loop. My husband, our boys, and our cute doggy, Lula, hit the trail. About a quarter of a mile in the trail splits and you can take one of two trails: a 2 mile or 5 mile loop. The hubs and I agreed we were in the mood for the long loop. 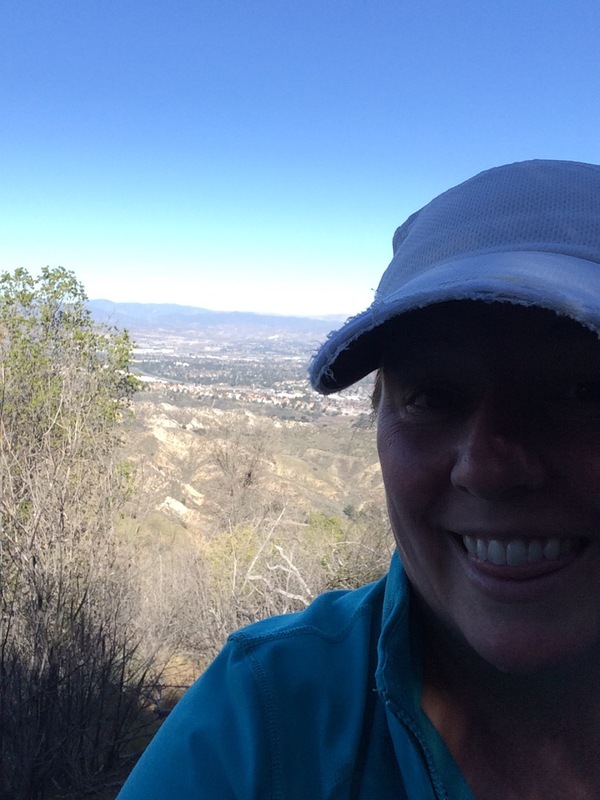 I’d never done the long loop before and I’m not sure I knew what I was getting myself into (my legs are already sore), but the views were both a reward and a triumph. This is at the top of the trail before we started descending. I swear it was the highest point surrounding our valley. It was so fulfilling to stand up there and look how far away the car was parked! That hike was exactly what I needed. The other part of getting to work is learning how to exist without my dad. I have lots to keep me busy (going through his stuff and getting his place on the market is not a small task), but I know I will miss him in unexpected moments. This morning I wrote in my journal and when I was finished I turned the page. The sight of these clean, fresh pages coincided with exactly how I was feeling this morning. It is time for a fresh start and I am ready for the task. Coincidentally (or perhaps not so coincidentally) it came on the first day of 2015. I’ve only made one resolution for this new year and I think it fits nicely with all that is happening in my life right now: I will not give up on myself, on my goal of ridding myself of this excess weight. Happy 2015! Yesterday was my true love’s birthday so I hung with him, mostly doing nothing, instead of blogging. He deserves my attention. This man has never once complained about my changing body or hinted that he didn’t like it. The exact opposite, he has ALWAYS a made me feel desired. I am a lucky woman and I wish every man could be as good to his wife as mine has been to me. One of my purposes as I work to get fit, rid myself of this extra weight is to be the wife he deserves. I weighed myself the day before Thanksgiving. 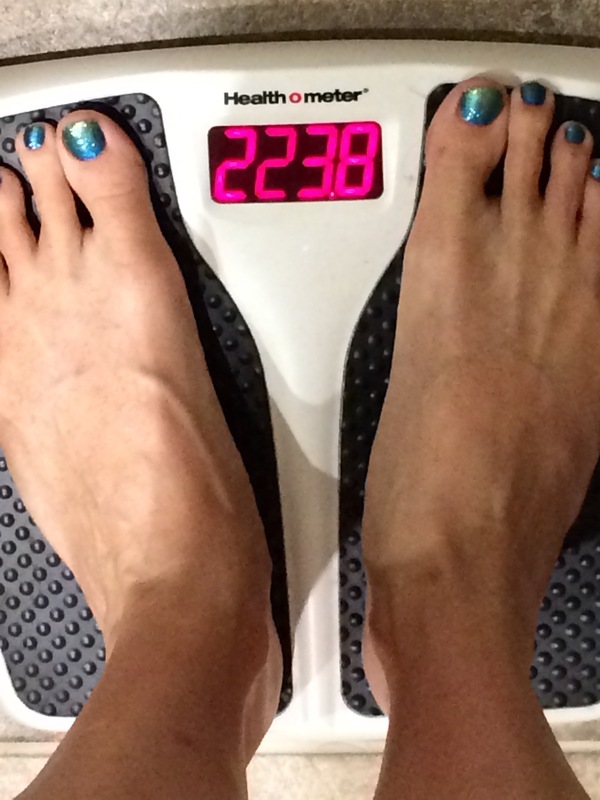 I’d been avoiding weighing in because I felt like it wasn’t going to be good news. I was right. 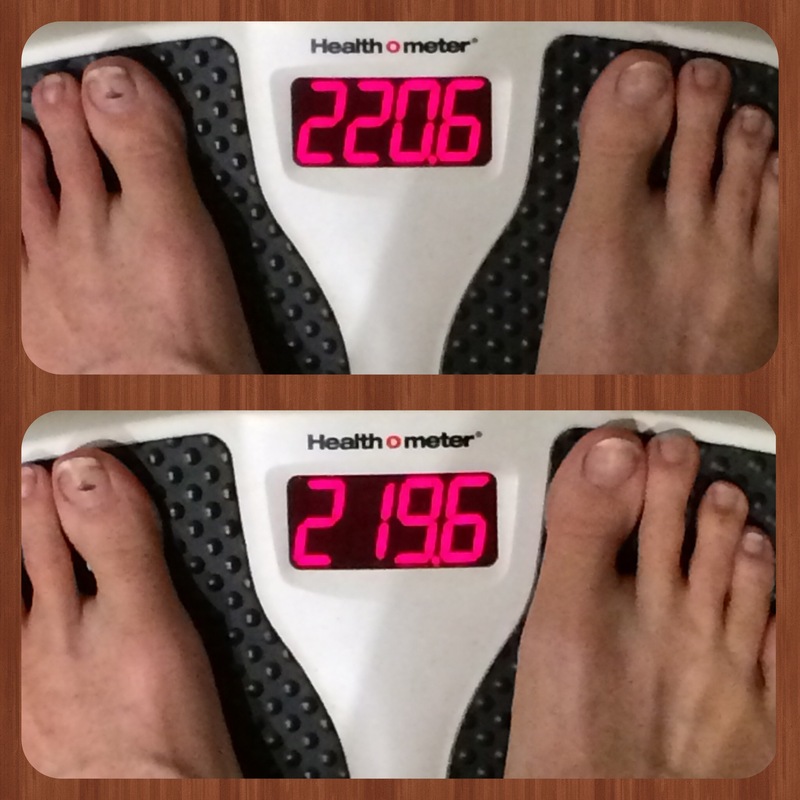 The good news is the bottom weight which was yesterday. 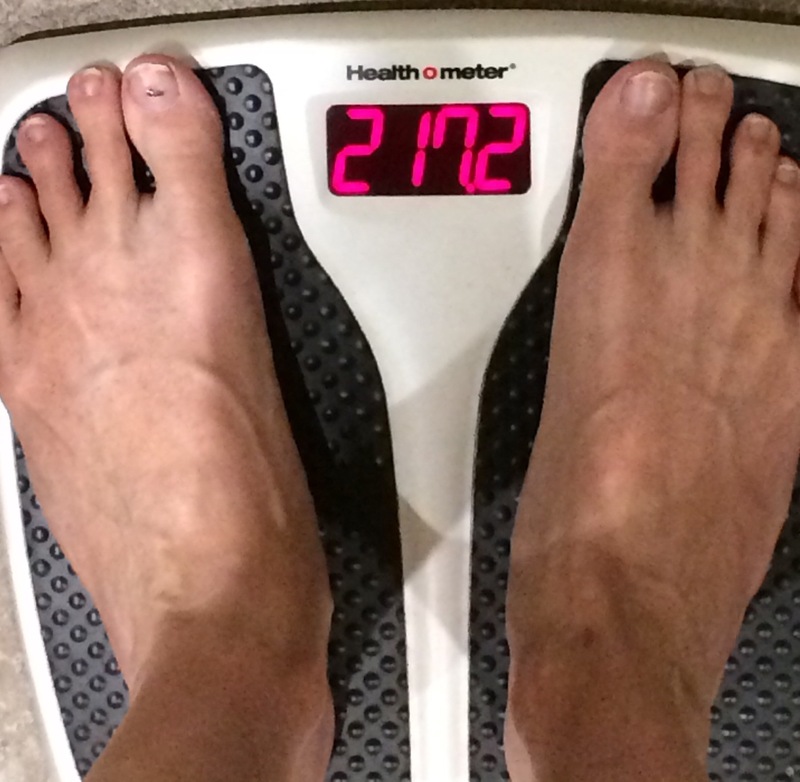 I lost a pound over the last week which included the biggest feast day of the year. Huge success! Gives me hope for the rest of the holidays. I’m still working out 4 times a week and trying to eat more veggies. No excuses. Yesterday, while reviewing my goal board on my SparkPeople app I found my best reason to avoid those dang mini Snickers and tiny bags of peanut M&Ms: lowering my A1C (I have no idea what that stands for but it’s a measurement of your average blood sugar for 3 months). Last visit my doc upped my oral Diabetes medicine because of my score. My next visit is in December. I’m taking the increased dosage, working out more, and trying to eat better but I need to be more strict on my carb/sugar intake. Sometimes I forget that Diabetes is a disease and pretend it’s no big deal. Spending time with my dad, who has not taken care of himself over the years and is now paying the consequences, reminds me that I can’t ignore it. For me, avoiding too much sugar is more than a weight loss tool, it’s imperative for my health. Another pound and a half down! If you follow me on social media you’ve already seen this but I can’t look at it enough. I almost don’t believe the change. It isn’t a huge change but it’s significant! I wasn’t expecting that. This week I’m going to be more conscious of my diabetes as I eat. It’s harder than it sounds. Occasionally I bribe my kids with donuts for breakfast in return for getting ready quickly. It makes us all happy. This week after eating the blueberry muffin I chose when my little dude picked his donut I used my SparkPeople app to record it. I was shocked to find out it was 460 calories! Little dude wanted in on the “fun” of counting calories. We looked up his donut and it was the exact same number of calories as my stupid muffin. I wanted a do over but my husband assured me it doesn’t work that way. That stupid muffin. I’ve resisted counting calories for years but using the app has been both easy and eye opening. (Who knew a “healthier” option could be so unhealthy?) I really love to look at the calorie differential report when I’ve had a good day too se the difference between what I’ve burned and what I’ve eaten. I don’t use it everyday but on days when I know I’m going to need some help it keeps me in check. I’ve ignored the app recently probably because I haven’t been making the best food choices…which is reflected in my weight not changing for the past two weeks. If I want to have any hope of shedding pounds in these days leading up to Halloween I need to get my act together. No sweets. Keep track of my calorie intake. Don’t be lazy. To be fair (to myself) I have been good at making workouts a priority. I actually got myself in bed before 10 most nights this week too which made the waking up before dawn to get to the gym easier. Now I need to get all of that together…and take my dōTERRA supplements (which I haven’t been doing) so next week’s weigh in will be awesome. Been working hard and making (mostly) healthy choices. Life is busy but I’m making time for me and that’s made all the difference. During the semi-annual General Conference of my church this weekend this guy spoke about taking responsibility for our own physical fitness and how it relates to increasing our Spiritual self. Super awesome talk. Check it out. It’s a tough season to avoid junk but in previous years I’ve avoided all candy during October and November. It’s an effective plan. Go ahead and steal it. Generally I like to work out on Friday mornings before I weigh in. Who wouldn’t? This morning I couldn’t fit it into my schedule. 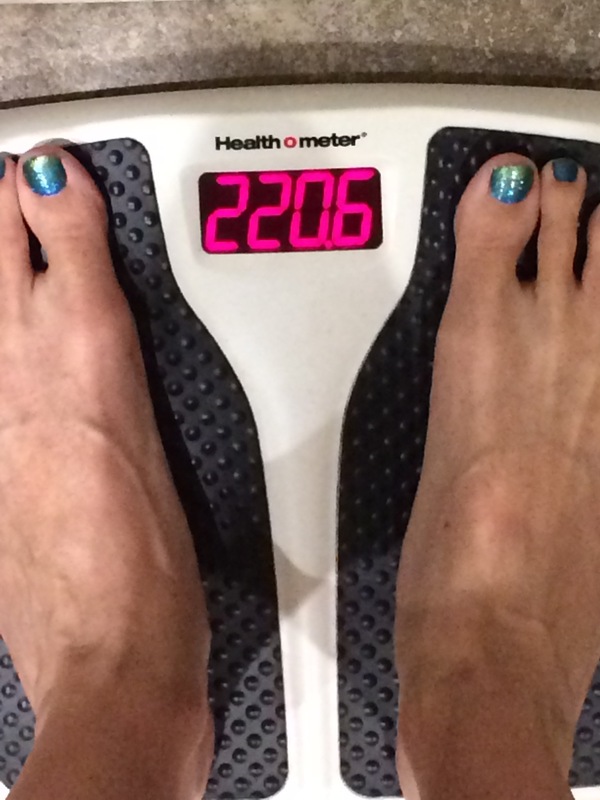 I reluctantly stepped onto the scale anyway. When I looked down I couldn’t stop staring (and it wasn’t because of my fabulous Jamberry pedicure – loving my toes). Even now thinking about I feel like I have to keep looking back at the picture to be sure it was real. THREE POUNDS DOWN from last week. I shouldn’t be shocked. I worked hard this week to exercise and make good/healthy food choices in the midst of all my stuff (that is such an inadequate word to describe the activities, errands, housework, and people I care for). My dear Auntie’s words keep ringing in my ears, “Take care of yourself. Your health is just as important!” I am thankful for her reminder. She has been an angel these last few months as I’ve been more and more involved in caring for my dad (who is doing better, by the way). These days I seem to be finding inspiration everywhere: baggy pants, encouraging words, the way I feel, healthy and yummy foods, and especially in my friends. My friend, Andreanna, is sharing on Instagram her “secrets” as she is losing weight. She has lost over 100 pounds this year by moving more and eating healthier. Check her out there as @weighedandmeasured She is Awesome. I’m still struggling with 10 pm bedtime but I’m determined to make it work this week. Wish me luck! Remember last week’s post when I pointed out that stubborn and sick are not a good combination? Yeah, well, it put my dad in the hospital. That’s the short version. After my normal morning routine of being mom, I’ve been driving the 20 miles to my dad’s hospital to be daughter/advocate/errand girl. Nutrition has taken a back seat to just making sure I ate and I’ve only seen the gym twice. did not surprise me. At least it’s only a pound. It serves as a good reminder that even in difficult situations I can make better choices. 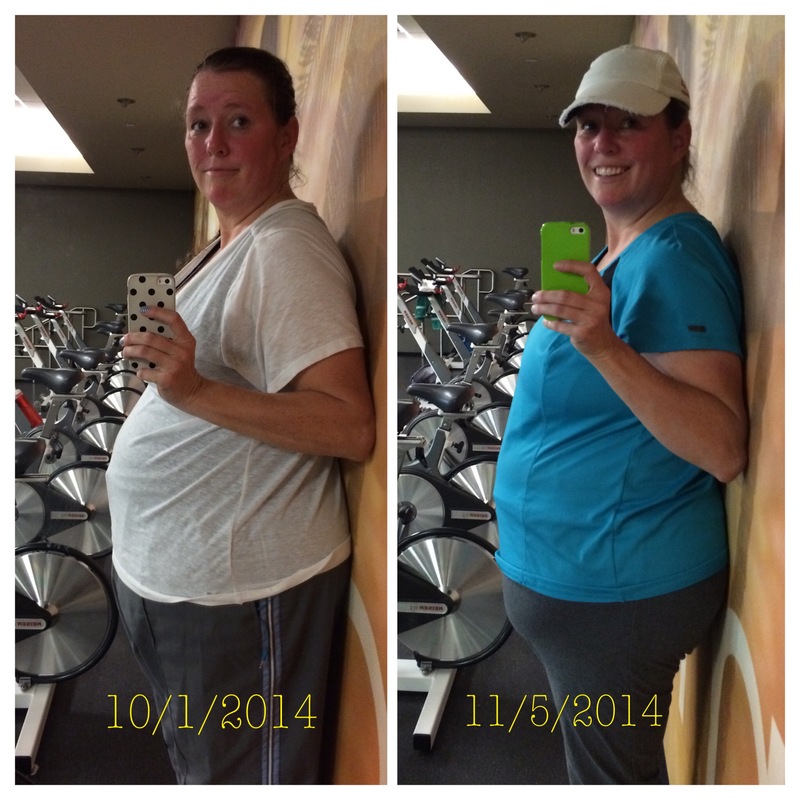 Better choices no matter my circumstance – there’s my goal for the week. Wish me luck. As I weighed in – and for completely unrelated to my weight reasons – I could feel the stress binding up my body. It’s been a tough week. My dad…is stubborn and sick which is a horrible combination. Some weeks are worse than others especially when the rest of my life isn’t perfect and smooth…which it never is. Stress is not conducive to weight loss. Exercise does help with the stress. I’ve don’t that lots this week. My body is sore. I’ve done a little stress eating but as soon as I realized what I was doing I stopped. Another weapon against the stress I’m using: in bed by 10 and up before 6. Some nights that is easier than others but it feels good…and makes it easier to get to the early spin class. Praying for a week that has more weight loss than stress. Wish me luck! The past six weeks have not been the relaxing summer days I had hoped for …and that is putting it mildly. Where I’d hoped to spend time with my kids I was spending it taking care of my dad who was sick (and super cranky about it). When I did have opportunity to play, usually the kids had other plans or weren’t interested. Most days that I planned on going to the gym were up ended by some stressful event which required my attention. The money I had hoped to save by not driving kids to & from school (and Scouts and other activities) was gobbled up in unexpected auto repairs. I could go on but I don’t want to drive you away with all the negativity. I used to think that when I went to the gym I was being selfish. Maybe it is sometimes because I can escape the chaos and stress for an hour or so. But! This summer I craved the stress relief. When I did manage to go it was usually yoga and I ALWAYS feel more relaxed after yoga. I’m grateful for the change of mindset. When I look at my time spent exercising as helpful (increasing my energy, reducing my stress level) instead of selfish (alone time) it makes it easier to go even when other things are pulling me away. A few friends kept telling me over the last six weeks that I looked like I had lost more weight. I balked at them. Psh. I hadn’t been eating what I should. Workouts were few and far between. When I looked in the mirror what I saw grossed me out. No way was I weighing in when I felt huge. On the other hand I did feel good. Even with all the stress I wasn’t as tired as before. I absolutely positively attributed that to the supplements I’ve been taking: the Long Life Vitality pack from dōTERRA. I was resistant to them because it’s TWELVE pills (three kinds, four of each), but I heard great things and wanted to give them a fair try. I am convinced they helped me get through one of the toughest months of my life without spending hours curled up in a ball of weepy mess. Things are calming down some. My dad is doing better and is back home on his own. All three of my kids are back in school. The other stressors have started to work themselves out, too. Yesterday after dropping my youngest off at his first day of third grade I went to a spin class. It felt good. Well, it was harder than I remember and at one point I was afraid I was pushing myself so hard that I was going to fall off my bike, but it was good. I came home feeling empowered and like I finally had the confidence to step on the scale again. I couldn’t believe what I saw. 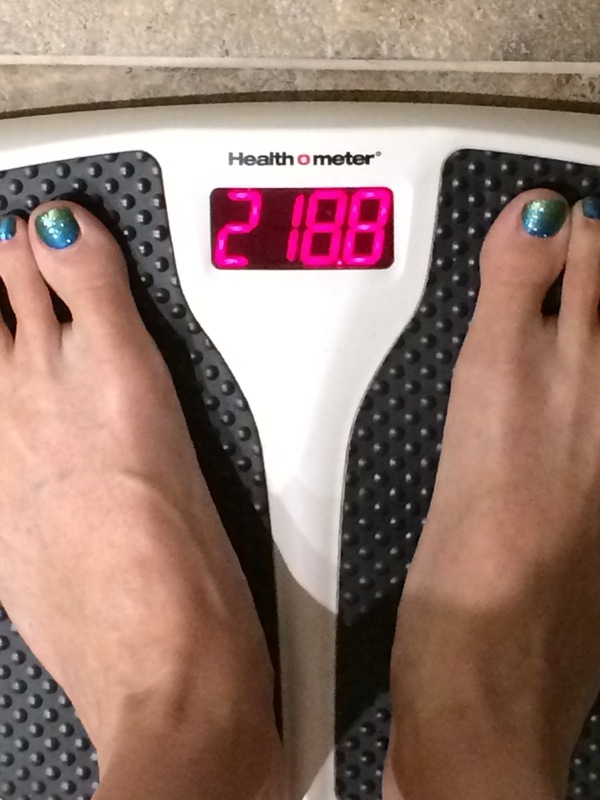 This weight is four pounds down from my last weigh in (July 11th) AND it is the lowest I’ve been since starting this blog. That feels good to say. I finally broke through that stinking plateau! Maybe it was the stress. Maybe it was the supplements. It can’t possibly have been how I was eating. This weigh in was the boost I needed. I dusted off my Spark People app and recommitted to skipping the sweets. I am hopeful for the next week!